All trails became dead-ends. Tips that had at first seemed urgent now faded away. The waiting game began. Whoever had the manuscripts would want money, and a lot of it. They would surface eventually, but where and when, and how much would they want? The most daring and devastating heist in literary history targets a high security vault located deep beneath Princeton University. Valued at $25 million (though some would say priceless) the five manuscripts of F Scott Fitzgerald's only novels are amongst the most valuable in the world. After an initial flurry of arrests, both they and the ruthless gang of thieves who took them have vanished without trace. Dealing in stolen books is a dark business, and few are initiated to its arts - which puts Bruce Kable right on the FBI's Rare Asset Recovery Unit's watch list. 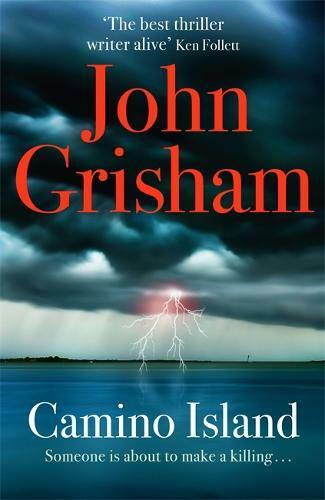 Undoubtedly one of the greatest and most popular thriller writers of all time, John Grisham started his career juggling a day job at a small law practice in Mississippi with penning his debut A Time to Kill but real success came with his follow-up novel The Firm when it was picked up for a Hollywood adaptation. Since then he’s repeated this success with worldwide bestsellers including The Pelican Brief, The Rainmaker and The Runaway Jury. A page turning thriller set in the world of authors and priceless manuscripts.